Artificial intelligence (AI) is almost an omnipresent topic these days. It is the centerpiece of sales pitches, it “powers” various online services and is mentioned in regard to almost any new product seeking investors. While some vendors truly aim to bring the added value of this technology to their customers, others mostly use it as a buzzword but can hardly deliver on their promises. A simple online search for the term “AI” today returns almost 2.2 billion results, illustrating the scope of the interest experts and the public is taking in the matter. Part of the hype can be attributed to the great new feats achieved thanks to this technology – for example AI helping researchers to see through walls – but it also has darker connotations, mostly predicting that AI could wipe out millions of jobs and render whole industries obsolete. Machine learning (ML) as a subcategory of a yet-unachievable goal of true and self-sustainable AI has already triggered radical shifts in many sectors – including cybersecurity. Improved scanning engines, increased detection speeds as well as enhanced ability to spot irregularities were all factors that contributed to higher level of protection of businesses, especially against new and emerging threats as well as advanced persistent threats (APTs). Unfortunately, this technology is not available exclusively to defenders. Black-hats, cybercriminals and other malicious actors are also aware of the benefits of “AI” and will probably try to employ it in their activities, in one form or another. Targeted attacks against businesses, money or data heists can potentially become more difficult to uncover, track and mitigate. We could even argue that we are looking in the eye of an era in which “AI-powered cyberattacks” will become the norm, dethroning those operated by highly skilled, malicious actors. ESET, as an established security vendor that has been fighting cybercriminals for decades, understands the upcoming challenges and possible future scenarios, elaborating on them in this paper. 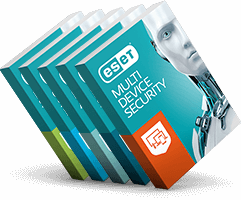 To provide a broader view, this white paper also presents the results of a survey ESET commissioned from OnePoll. Attitudes to, and concerns about, the use of AI and ML in cybersecurity contexts were gauged in a survey of almost 1000 US, UK and German IT decision makers, in companies with 50+ employees. To avoid possible confusion, this white paper also addresses the differences between AI and ML and elaborates on the limits of the latter. Finally, an overview of “AI-powered attacks” is provided, as is an insight into the design of ESET’s machine-learning engine, Augur, and an outline of its enterprise-grade products designed to leverage this technology to counter constantly emerging and evolving cyber-threats. Newer Can Artificial Intelligence Power Future Malware?